All business knows that it is the small things that keep a business running smoothly. Having a well-equipped company is only possible with a strong foundation. The small aspects are taken care of when business conduct routine maintenance. Maintenance includes everything from daily cleaning to inspections. 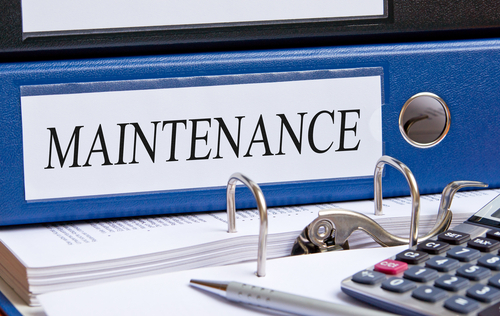 Many business owners let their routine maintenance fall by the wayside and feel the negative effects of it later. Often time this is due to other matters in the business taking precedent and/or lack of someone to keep track of these matters. Here is a checklist to ensure that your business stays on track. There are several aspects of your business that need protection and they include the building, equipment, machines, and other systems. One of the first issues that must be addressed is the building that houses your company. Cleanliness is the first issue to be taken care of. Make sure that there is a cleaning crew that comes in to put the office back into order. There should be inspection done to the inside and outside of your building at least once a quarter. Look at the state of the foundation, roof, and surrounding areas. Not only is it beneficial to the security of your building. Intruder see a weak spot on your building as an opportunity to break in. Replace all weak windows and damaged screens and gates to ensure they continue to function correctly and protect your building. The same inspection goes for your equipment and machines. Nothing can halt the production process quite like a machine going down. Computers always seem to go down when a deadline must be met. Inspect all equipment and have it fixed and replaced at the first sign of trouble to prevent any last minute scrambling. In the day and age where the internet is relied upon, do not forget to conduct IT maintenance. At Western Door and Gate, we provide the gate services your business needs to remain functioning and secure. For more information about our services, please peruse our site. Or contact us at (702)839-3600.